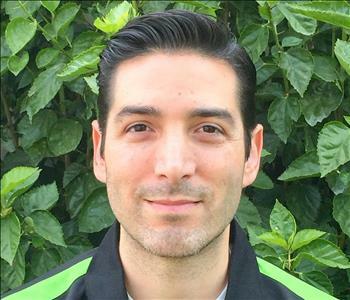 Ryan is the Owner/CEO of SERVPRO of West Covina. Born and raised in SOCAL, he has a great deal of care & concern for our community. With over ten years in the Restoration Industry, his expertise combined with compassion, makes him the first person to call when an emergency need arises. Those undergoing duress from unexpected property damages find him to be a real asset as he is an honest and hard working individual. As a Licensed California General Contractor he can see your project through from beginning all the way to the end. He graduated in 2007 with his Bachelor of Arts Degree in Business from Cal State Fullerton. As a former restaurant owner of Anita's Mexican Food in Fullerton, he is a total foodie. He enjoys exploring local eateries with family & friends. Although he doesn't do it often he appreciates the adventure of travel and photography. 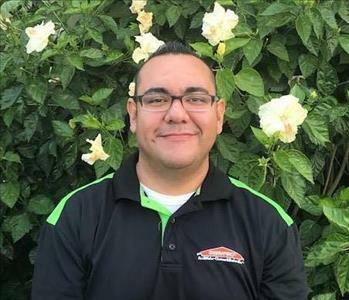 Sebastian is a Crew Chief at SERVPRO of West Covina. He works closely with our office to communicate the needs of each client. This helps us deliver the best customer service possible. One of his favorite parts of the job is on 'Demo Day'. He gets excited to demolish and clear out the old debris while preparing the way for what is to be newly installed. Sebastian comes from a close knit family of all boys. He spends his weekends keeping physically active by working out and playing basketball with his three brothers at the gym. 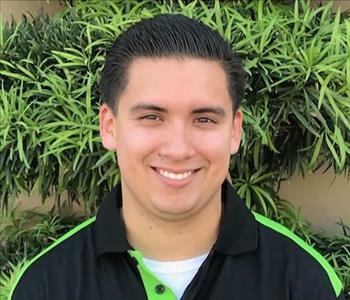 Alex is a Production Lead Technician at SERVPRO of West Covina. He enjoys being part of our team and takes pride in his work of going out to help restore properties that have been damaged. He has a big family and loves spending quality time with them. On a regular basis Alex takes his four brothers & sisters to the park or on other family outings. When he has free time he likes running, playing the electric guitar and getting grease on his hands while working on his car. 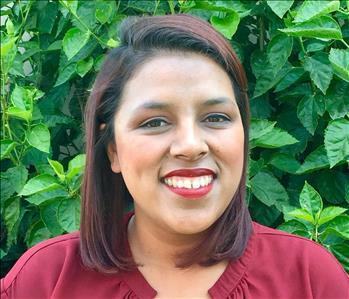 Erica is the Job File Coordinator at SERVPRO of West Covina. She may be one of the friendly voices you hear if you call needing assistance. She is the pipeline between our production teams and our office. She conducts audits which ensure that all pricing is fair and justifiable through photos and documentation. She just celebrated her 14th wedding anniversary and has an adorable son. She spends a remarkable amount of time doing volunteer work which is both rewarding and satisfying. 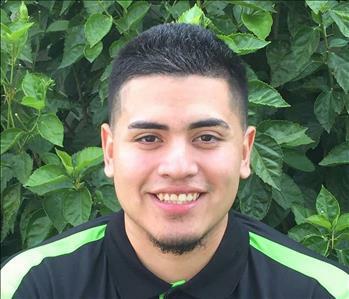 Robert is our Floor Cleaning Specialist at SERVPRO of West Covina. We highly value him because he is caring and kind to all. He works hard to get the best possible results which renders a high level of customer satisfaction. CONGRATULATIONS to Robert and his lovely fiancé as they are soon to be married summer 2018! 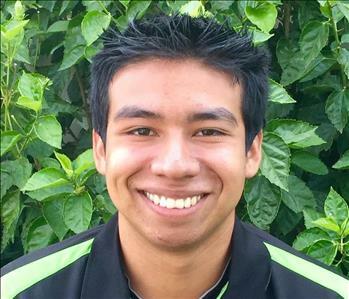 Isaac is a Crew Chief at SERVPRO of West Covina so is one of our first responders to emergency calls. He is super helpful in dealing with the most distressing situations by addressing each aspect of service with the utmost care and concern. Being such a people person, he is a direct line of communication between our clients and their insurance claims adjusters. Trained and certified by the Institute of Inspection Cleaning and Restoration Certification (IICRC) he directs his team with confidence and leadership. As a hobby, he and his brother belong to multiple Home Brewing Clubs. They brew and bottle their own specialty beers and several years ago formed their own bottling company ‘Lopez Brew Brothers’. Their favorite specialty beer that they formulate is Mexican Hot Chocolate Stout! Every office should have a mascot as cute & lovable as our Jedda! Weighing in at a whopping five pounds our almost two year old Bambino cat has a personality as large as life. With our days filled with helping respond to cleanup emergencies in the community, having Jedda around provides an overall calming effect and brings each of us a lot of joy. 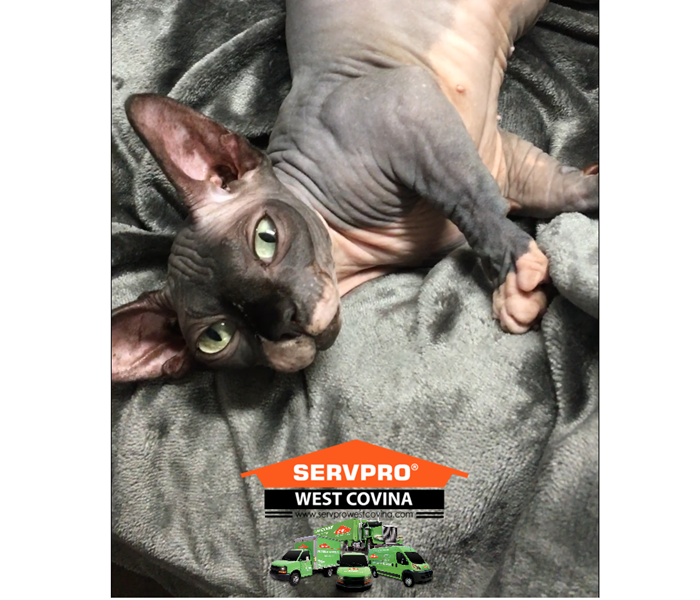 Her bright green eyes coordinates perfectly with our SERVPRO green color. She will visit your desk whenever she hears you opening up a snack. And, she is a huge fan of Starbucks egg bites. Her hobbies include curling up and falling asleep under a heated blanket, basking in the sun in front of the window, running down the corridor back and forth at top speed and playing with her favorite cat toy which is simply a ribbon tied to a wand… keeps her occupied for hours of play.